Sully's plane is up for auction. 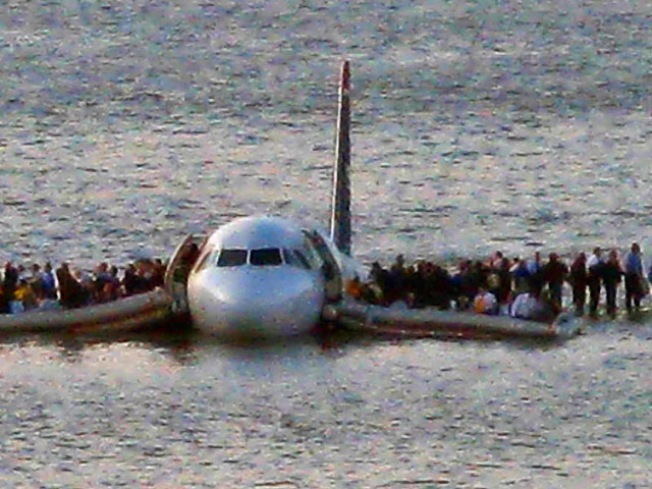 Want a souvenir of the "Miracle on the Hudson," the water landing that made US Airways pilot Capt. Chesley "Sully" Sullenberger a celebrated hero? Better have a really big shelf. The plane that Sullenberger and crew landed on the river in New York Jan. 15, 2009, after a bird strike knocked out both engines is up for auction. The Airbus A320 from which all 155 people aboard emerged alive after the splashdown is now at a salvage yard in Kearny, N.J. Chartis Insurance is conducting the auction, which is scheduled to end at 4:30 p.m. ET March 27. But don't expect a refurbished, ready-to-fly jet. The plane is for sale "as is/where is." Under "equipment comments" is this terse notation: "Destroyed." Under "description of damage": "Severe water damage throughout airframe. Impact damage to underside of aircraft." Plus, the engines are not included in the sale, and the wings on which many passengers stood to be rescued have been detached from the fuselage. But prospective buyers can take some consolation. The listing notes that the aircraft was "treated with a corrosion inhibitor" last summer.